Yesterday, Cybersecurity Docket announced its “Incident Response 30” for 2019—our list of the 30 best and brightest data breach response lawyers in the business. Bruce Carton, Editor of Cybersecurity Docket, announced the names of this year’s Incident Response 30 at the conclusion of Incident Response Forum 2019, held April 10, 2019 at the Mandarin Oriental in Washington, D.C. The lawyers in the Incident Response 30 for 2019 hail from many of the top law firms in the world and have established themselves as the “first call” for companies hit with a cyber attack or other data security incident. 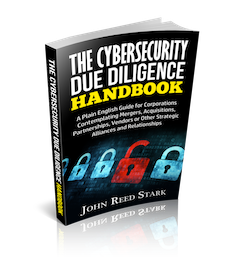 For a list of this year’s Incident Response 30, please visit Cybersecurity Docket.